“Serval” is Portuguese for wolf-deer. Their extra long neck and legs give them the nickname, “giraffe-cat”. 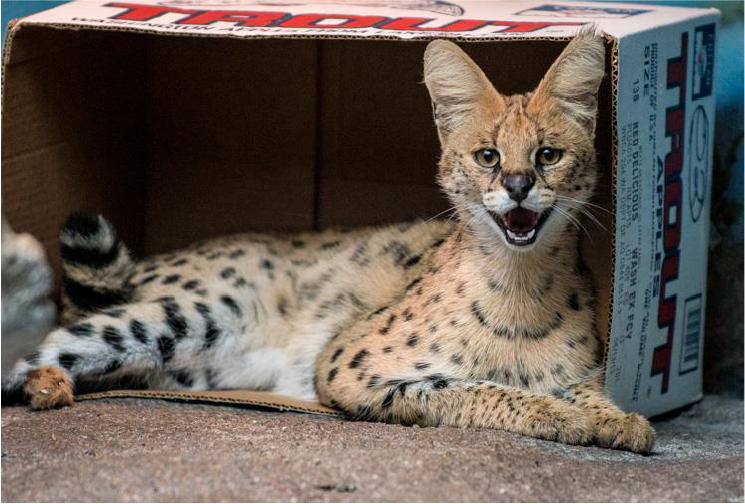 If we compared our ears to the serval’s in proportion to our heads, they would be the size of dinner plates!